Falkirk can be mistaken for a dull town. It looks like many others, remnants of Victorian architecture plus plain modernist buildings and conformist retail outlets. The alternatives are mixed to uninspired effect. Although the streets that have the traditional architecture are pleasant, there are not enough. The town is also overshadowed by Glasgow and Edinburgh. Falkirk on a grey day can feel like the land of the lost. And there are plenty of grey days in the Scottish lowlands. Alex Parker played for Everton but before that Falkirk. Parker played in the Falkirk team that won the Scottish Cup in 1957. After Everton he became a pub manager on Merseyside. I hoped that I would be able to talk football to him but Parker was a terrible and unfriendly landlord. I pointed out his professional limitations, and he barred me from his pub. Before the pub row the prospect of being a bingo caller tempted me to visit Falkirk. I was living in Glasgow, and Falkirk has an excellent rail link to both Edinburgh and Glasgow. The idea was that I would write words during the day and call numbers at night. It did not happen. I did not smell promise, either in the town or me. I have, though, since then, visited often. Falkirk had an iron and steel industry in the 18th Century. Pillar boxes and cannonades were made in Falkirk. Scotland is not as anti-intellectual as England but the connection of the town to publishing is a surprise. Johnston Press was established in Falkirk in 1846 although the company has now moved to Edinburgh. The local weekly newspaper, the Falkirk Herald, sells more copies than any other weekly newspaper in Scotland. 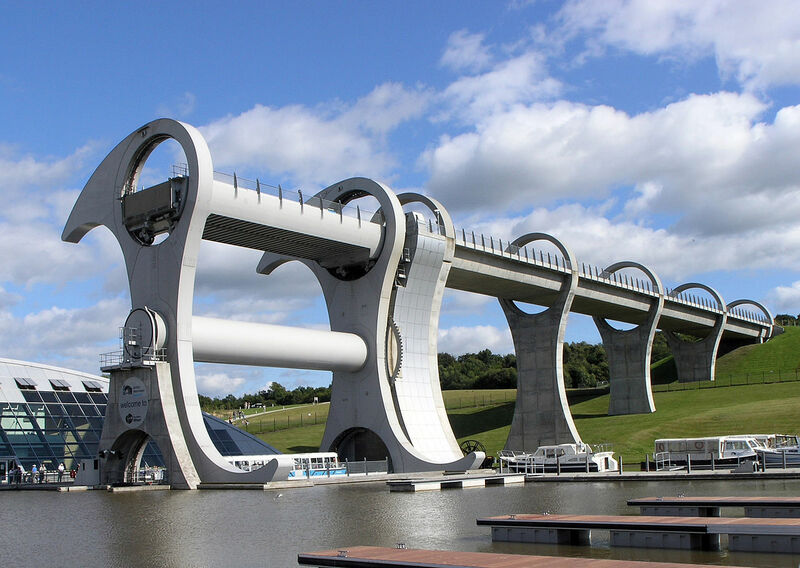 The engineering tradition does not define the town anymore but the Falkirk Wheel that has replaced ten lochs on the junction of two major Scottish canals pays heart stopping homage to superior skills. The Wheel lifts canal boats high in the air. The device is so impressive they sell tickets. When the British match the Japanese for industrial vision, it becomes a tourist attraction. Visitors are also attracted by Callendar House. Like the Falkirk Wheel, the French style chateau architecture of Callendar House and the rural setting provide an escape from UK reality. Callendar House benefits from an exceptional museum. The 1825 kitchen demonstrates the dependency of downstairs labour on 19th Century technology. Both Callendar House and the nearby Roman Antonine Wall can be used for decent walking around an attractive landscape. The Wall once spanned Scotland. Today it has left not only a ruin but a legacy of attractive wolds. 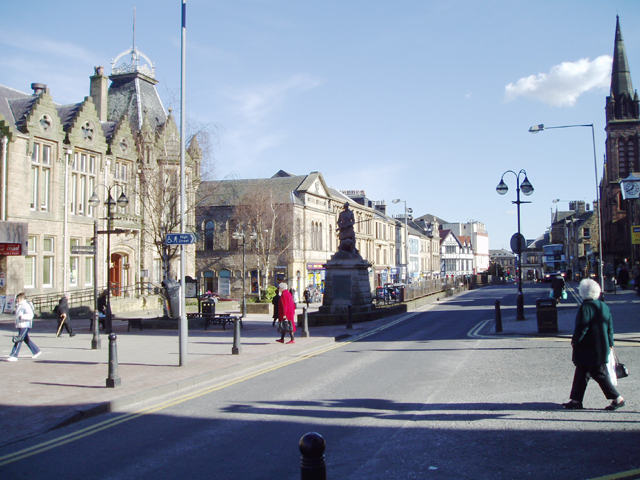 Falkirk has a population of 35,000. The rate of unemployment is 2.6%. The UK average is 5.7%. The ‘Labour vote rigging scandal’ of 2013 caused newspaper headlines but more sinister was the not unrelated discrimination that occurred against Unite officials at Grangemouth Refinery. While the British Press condemned left wing supposed skulduggery, the victorious Ineosis owners dismantled the pension scheme and insisted on agreements to depress wages. And so it goes. Next week, having fun with my betters, Felixstowe. Posted in 2 Pigs Cheltenham, Antonine Wall, Callendar House, Everton football team, Falkirk, Falkirk Football Team, Falkirk Herald, Falkirk Wheel, Grangemouth Refinery, Labour Party, Scottish Cup, Unite The Union and tagged Britain, Culture, history, politics, tourism on April 24, 2015 by Howard Jackson.